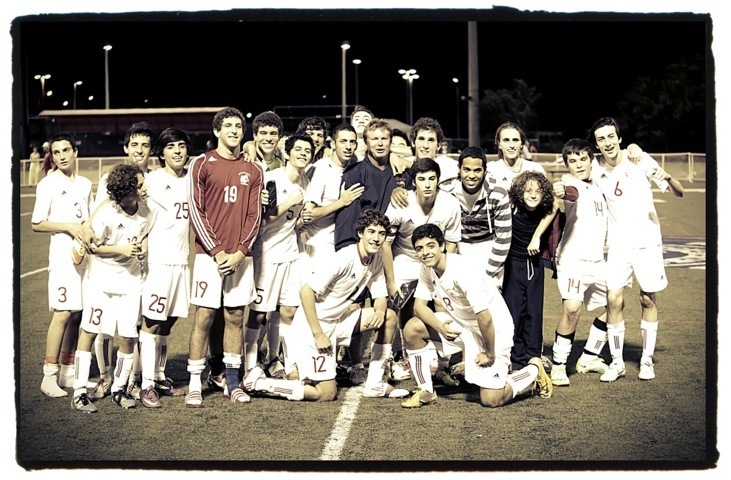 The MCDS men’s soccer team finished their regular season strong, beating Coral Springs, 8-0. Congratulations to them and their “Blue Steel” seniors for a great season. At the end of the game, the entire team called Florida Hall of Fame Coach Watson from the stands to help celebrate a great season. Coach Watson lead the Spartan’s varsity men’s soccer team for many seasons before moving on to other responsibilities at the school and the announcers booth for all the home games this season. The varsity men begin district tournament play this coming Monday at 7pm. This entry was posted in Digital Photography, high school sports, miami country day school, Photography sessions, soccer and tagged high school, Men's soccer, Miami Country Day School, sports. Bookmark the permalink.